A DECISION not to prosecute the British soldier who shot dead a teenager in Derry 46 years ago was based on “irredeemably flawed” reasoning, the High Court has ruled. 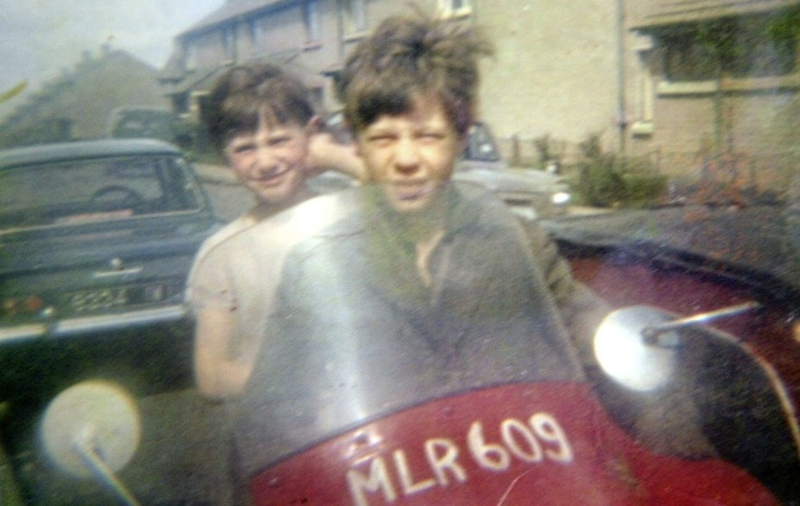 *SCHOOLBOY Daniel Hegarty pictured with his sister Kathleen sitting on a motorbike in the Creggan estate. Judges held that former Director of Public Prosecutions Barra McGrory imposed too stringent an evidential test for the murder of Daniel Hegarty. Quashing his decision, they also ruled that a four-year delay in reaching it was “manifestly excessive, inexplicable, unjustified and unlawful”. The verdict represents victory in the legal challenge mounted by relatives of the 15-year-old schoolboy. 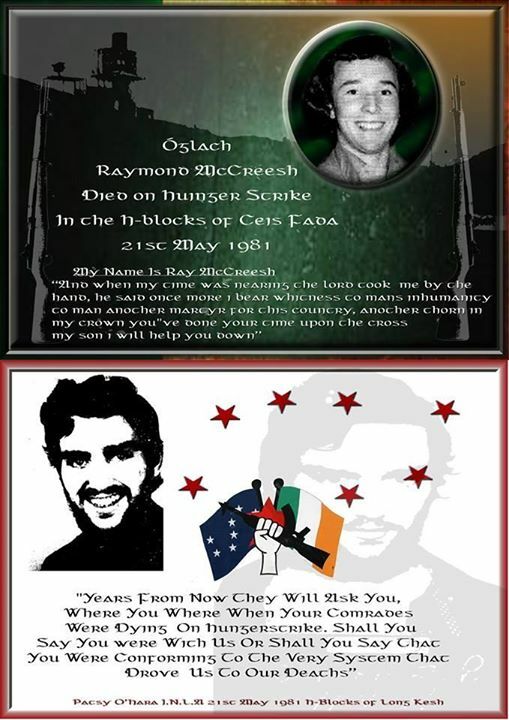 Daniel was unarmed when he was shot twice in the head during an army operation in the Creggan area of the city in July 1972. In 2011 an inquest jury unanimously found Daniel posed no risk and had been shot without warning. Prompting the coroner to refer the case back to the Public Prosecution Service. But in March 2016 it was decided not to pursue charges against Soldier B, who fired the fatal rounds, on the basis of no reasonable prospect of a conviction. According to the PPS, forensic experts were unable to state that ballistics evidence was inconsistent with Soldier B’s account of the circumstances in which he fired. Daniel’s sister, Margaret Brady, then issued judicial review proceedings against the decision taken by the then director. Her senior counsel, Michael Mansfield QC, argued that expert evidence completely refutes assertions that the bullets were fired in self-defence. Instead, he contended, the scientific opinion backed the family’s belief that it was an unlawful killing carried out at a range of less than 10 feet. In a statement the soldier claimed to have pulled the trigger on the machine gun while it was on the ground – an account Daniel’s family allege was contrived to suggest fear of a non-existent threat. The court heard two conflicting narratives about the events leading up to the shooting. Soldier B, backed by a military colleague, portrayed a situation where they issued clear warning as aggrieved, threatening youths approached before opening fire from a distance of some 25 metres. But in a different scenario advanced by others at the scene the youths were not warned or challenged, only becoming aware of the soldiers presence when shots rang out at point blank range. referring to expert evidence. Mr Mansfield contended that Soldier B’s self-defence assertion lacked any credibility. Although he accepted a conviction could not be guaranteed, the barrister nevertheless claimed a jury may establish proof beyond reasonable doubt. Counsel for the director agreed that the case was subjected to close forensic analysis, with two expert reports and advice from senior counsel. He also stressed the high threshold required to rebut the soldier’s claims, and to establish perversity in the decision-making process. With many thanks to: The Irish News for the origional story. An amnesty for soldiers will not be accepted by the families of those who died in the Ballymurphy Massacre, a Bloody Sunday commemoration has heard. A special Mass dedicated to the memory of the 14 people who died after Paratroopers opened fire on civilians in Derry’s Bogside on January 31, 1972, was celebrated at St Mary’s Church, Creggan, on Friday. Wreaths were laid at the Bloody Sunday Memorial in Rossville Street following a prayer service attended by the relatives of those killed. 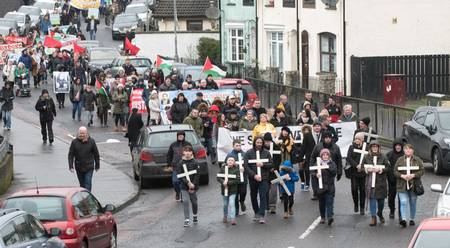 Several hundred people took part in a March for Justice organised by the Bloody Sunday March Committee. This culminated at Free Derry Corner where Eileen McKeown whose father, Joseph Corr, was shot dead by paratroopers in the Ballymurphy massacre in August 1971, addressed the crowd. She said that after 46 years the Ballymurphy families were now preparing for the inquests in September into the deaths of 10 of those killed in Ballymurphy, and warned they would reject any proposal to introduce an amnesty for soldiers. Ms McKeown said: “In September, at last, the inquests into the deaths of 10 of our loved ones get under way. 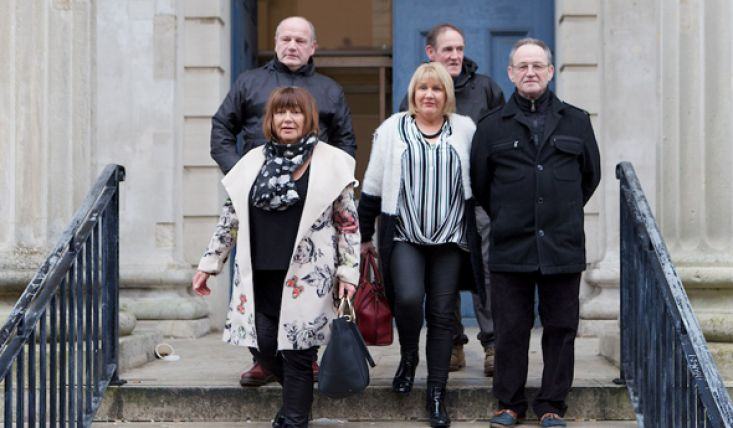 “This is another significant achievement that took a long time to come but finally, direct result of many years of hard work from families, we will have our day in court. “It will provide us with a legal process to uncover the facts about how our loved ones died. “The attempts by the British Government to introduce an amnesty for British soldiers is totally unacceptable to the Ballymurphy families. “This Thursday a delegation of Ballymurphy families went to Westminster to make our views known about this and we told the Chairperson of the Defence Select Committee, Julian Lewis, that an amnesty in any guise will never be acceptable to the families of the Ballymurphy Massacre. A recent defence committee report favoured a controversial statue of limitations for members of the Armed Forces, coupled with a truth-recovery process to help families bereaved during the Troubles. 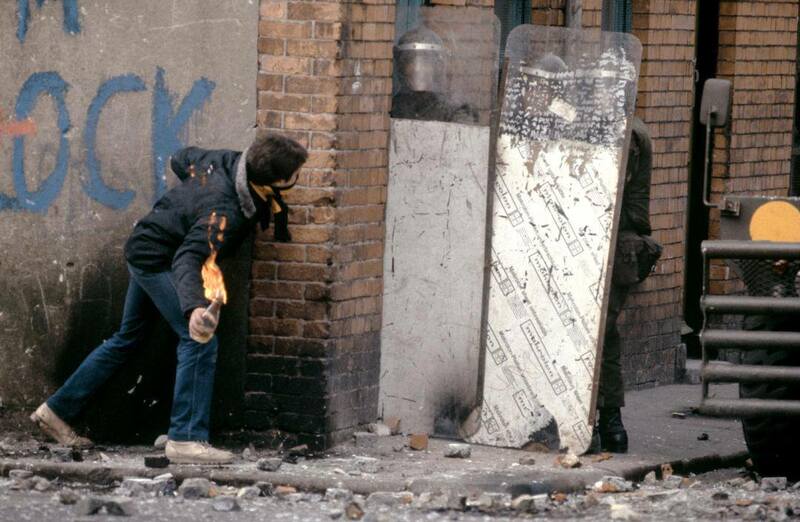 However, the report, published last month, stopped short of recommending the proposal for all sides during the Troubles as it “would be for the next government to decide”. The concept of an amnesty has gained traction among a number of Westminster backbenchers, who claim recent prosecutions of former British soldiers were tantamount to a “witch-hunt”. However, prosecutors and police in Northern Ireland insist such allegations simply do not stand up to scrutiny, with a breakdown of figures showing no disproportionate focus on ex-security force members. REMEMBERING PLASTIC BULLET VICTIM, HARRY DUFFY. Father-of-seven Henry Duffy from the Creggan area of Derry was killed after being hit in the head and chest at point-blank range by plastic bullets fired by soldiers on May 22 1981. UPDATE – MARCH FOR JUSTICE – UPDATE – UPDATE ! Arrived slightly after 8pm and there was standing room only @ the Pilot’s Row 40th anniversary public meeting. When Linda is in the chair meetings start on the button, not ‘Derry Time’. 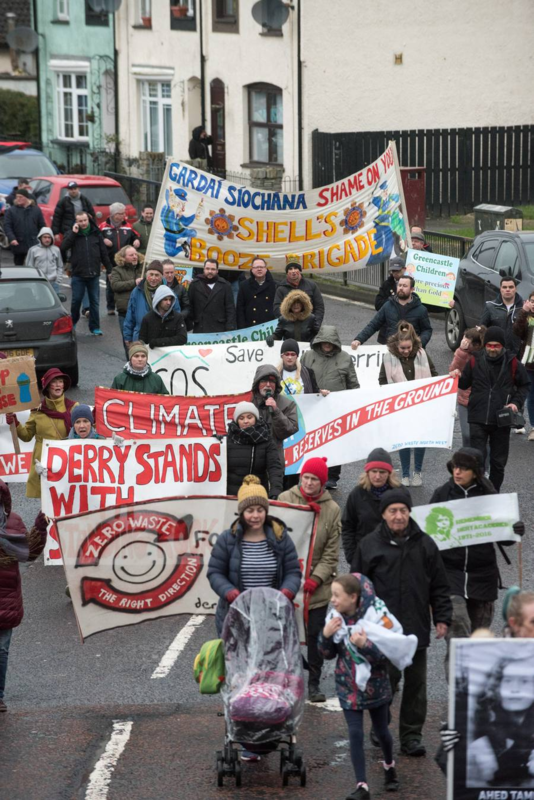 Lead banner on display, well designed, however, I personally would have preferred MARCH FOR JUSTICE as the central lettering, rather than ‘Derry Civil Rights Association’. That would reflect better the main theme and reason for the Jan 29th. demo. The wording is crucially important as we need to put the on-going fight for justice always to the fore, rembering that tens of thousands will view this banner, via the media, both at home and abroad. Author seachranaidhe1Posted on January 7, 2012 January 7, 2012 Categories TAKE A STAND FOR YOUR COMMUNITY, WORTHWHILE CAUSESTags Bloody Sunday, Civil and political rights, Creggan, Creggan Derry, Derry, Dochartaigh, Ivan Cooper, Northern Ireland, Northern Ireland Civil Rights Association, Religious and Sectarian Conflict3 Comments on UPDATE – MARCH FOR JUSTICE – UPDATE – UPDATE !